Planning to buy web hosting plans with a maximum discount? Then you must check out this awesome list of Best Cyber Monday web hosting deals 2018. If you are not aware when is Cyber Monday 2018, then let me tell you that it is on Monday, 26th November 2018. This is the period of the year when almost every merchant is providing discounts. And as a blogger or internet marketer, you can’t miss this opportunity to save huge during this Cyber Monday sale. This sale is not limited to shared hosting plans. You can enjoy a massive discount on VPS plans, Dedicated Hosting plans, Managed WordPress hosting, Cloud Hosting, reseller hosting business and many more. Without wasting much time, let’s take a quick look at the list of best Cyber Monday Web Hosting deals in 2018. When there are so many web hosting companies to choose from, it has always become a huge confusion for beginners. To make your life simple, I always recommend beginners to start with the best web hosting companies like Bluehost or SiteGround or Hostgator or A2 Hosting within budget. In case you can spend more, then start your blog with WPX Hosting. But if you are a blogger or marketer who is looking to purchase multiple hosting plans from different companies to host different websites, then this Cyber Monday Web Hosting Sale page is the perfect place. You can buy cheap hosting plans and start building a strong PBN site network to outrank any profitable keywords in the future. You can save on almost everything besides web hosting like WordPress themes, plugins, SEO tools etc. Even if you are a vlogger, you will also get some awesome Cyber Monday vlogging deals on cameras, microphones etc. But in this article, I am going to share the list of best web hosting companies who share massive discounts during Cyber Monday. In fact, after Black Friday web hosting sale this is your last chance to make the most out of this Cyber Monday Hosting deals. So, without wasting much time let’s explore the individual Cyber Monday deals of different web hosting providers in 2018. Bluehost Cyber monday discount will activate from (1?2:0?1am on November 27th MT. This is the ultimate chnce to buy Bluehost hosting plans at the cheapest price of $2.65/mo. Bluehost offers various types of hosting packahe. As a beginner, you may get confused with which Bulehost plan is good for you. But to make your life easy, I would recommend you to start with PLUS plan for 36 month (You can save huge on Bluehost renewal expenses). In fact, I have staretd thsi blog on PLUS plan 2 years back. Here are the discounted price of different types of shared hosting plans from Bluehost during Cyber Monday Sale. Recently I have upgraded my hosting from Bluehost shared hosting to Bluehost Cloud hosting plan. Cloud hosting is comparatively better when we talk about resources & performance. But as a beginner, it is good to start with their shared hosting plan only. You can read the complete review of Bluehost web hosting. Here are few of the points I like about Bulehost. 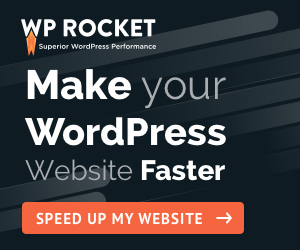 #1 WordPress Recommended hosting provider. SiteGround is one of the most popular WordPress hosting provider of recent times. Yes, even if Bluehost has captured the market like anything, SiteGround gave them a very tough competition. In fact, if you go after SiteGround Vs Bluehost comparison, you will find a very close battle between them. Without any doubt, both are doing an awesome task, but in certain areas, SiteGround has a little edge over Bluehost. Generally, SiteGround doesn’t offer much discount on their hosting plans. You will find the 60% off SiteGround Discount code through the year. But during SiteGround Cyber Monday Sale, they are offering 70% discount across all of their hosting packages. A2 Hosting is another good SSD hosting provider. In case you have missed A2 hosting Black Friday sale, this A2 Hosting Cyber Monday deals is your last chance to save on hosting plans. A2 hosting is very popular for their high-end infrastructure used behind their hosting plans. Yes, with highly secure servers, latest cache technology they are proudly claiming to provide a 20X faster website compared to their competotors. A2 hosting offers 3 different plans: Lite, Swift & Turbo. If you are a beginner, better to start with Swift plan so that you can experiment with multiple websites on the same hosting. Otherwise, for best performance, go for Turbo plan. Hostgator is one of the oldest web hosting provider in this list. From Black Friday to Cyber Monday, Hostgator runs some flash sale where they offer maximum discount up to 80%.If you missed the Hostgator Black Friday Sale, then don’t forget to grab the Hostgator Cyber Monday deals now. This is a special Hostgator sale which will run through the Cyber Monday week. That means you will get enough time to avail the discount. But this Hostgator Flash Sale has different Hostgator Coupon Codes to get a different amount of discounts. That you must know, in case you want to get maximum Hostgator discount. Otherwise, you will get regular Hostgator coupon codes. If you are looking for Cyber Monday Sale for Managed hosting plans, then you should not miss WPX Hosting Cyber Monday Sale. WPX Hosting Black Friday sale has just ended and if you have availed their 3 month free deals, then you are lucky. But if you have missed, don’t feel bad. As you will get another chance during WPX Hosting Cyber Monday Sale 2018. This time buy their hosting plans by paying only $1 for the first month. Yes, you can get almost a 99% discount on their first month billing. During this SiteGround Cyber Monday sale, they are giving away their first month for just $1, And if you get their 1 year hosting plan, you get 3 months free, not the usual 2 and that brings the cost for hosting with WPX down to something like $19.99 a month. Namecheap not only provide web hosting service, but they also provide cheap domain names. Yes, during NameCheap Cyber Monday sale, you will be able to get almost 99% discount on different products. NameCheap is mainly popular for their cheap & reliable web hosting plans. During Cyber Monday Sale you will get Domain name & SSL certifications for your sites for as low as $0.88 only. This offer is best for newbie blogger or a pro-blogger who want to host some experiment affiliate site on a cheap hosting provider. Better to buy for maximum years so that you can save the most. iPage is one of the unique hosting provider who only offer a single hosting plan. That means they are highly concentrated with their product and giving very good support. On top of that, they give the maximum discount during ipage cyber monday sale. Can you imagine a hosting plan @ $1.99/mo with so many killer features mentioned below. This is not the end, as you will also get many other benefits & gifts in case you avail this iPage cyber monday deal. Yes, I am sure you will not miss any one of these deals. As this is the last chance for you to get the highest discount on web hosting plans. Although it starts with Black Friday time, even during Cyber Monday week also many hosting companies continue with the best deals. As you have a plan to start a website in 2019, this is the time when you must buy the 36-month hosting plans by paying the cheapest price ever. In fact, you can buy multiple hosting plans and experiment PBN or regular blogs on different web hosting plans. This will give you a huge experience by spending very less. Are you going to use the best Cyber Monday web hosting deals 2018 and discounts this time? Do you recommend any other hosting services to include in this list? Please share your views in the comments.